The firm has over 70 attorneys practicing out of our sole office in Omaha, Nebraska. We serve clients from coast to coast on litigation and transactional matters and also work with clients on transactions internationally. Our firm is a member of TAGLaw and the International Business Law Consortium. 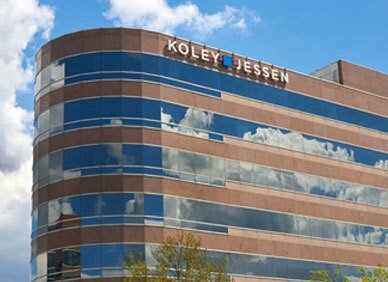 These highly ranked law firm alliances provide Koley Jessen with access to legal specialists around the world who also adhere to high quality and service standards. We partner with these specialists when projects have the need for local counsel in a foreign jurisdiction. Our clients appreciate our ability to access these networks and manage these relationships abroad. 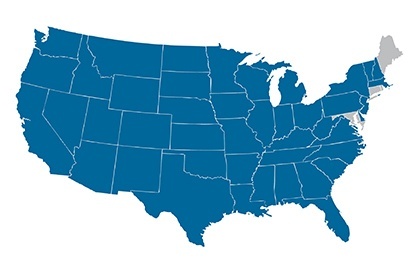 Over the last 5 years our firm handled over 350 transactions across nearly 40 states. We have found that our base in Omaha gives us the opportunity to handle deals around the country, and the world, while providing significant value and over-the-top service to our clients. Large clients and insurance companies have hired us to handle complex mediation, as well as administrative, judicial and arbitration proceedings throughout the United States. We also have an extensive appellate practice that includes appeals to numerous appellate courts, including the U.S. Supreme Court. 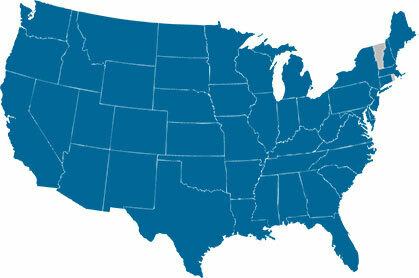 This map shows States in which we have provided services. "Wall Street-level firm in Omaha, Nebraska"
"They have been an absolutely brilliant team to work with. They have first-class attorneys who are very seasoned and professional."